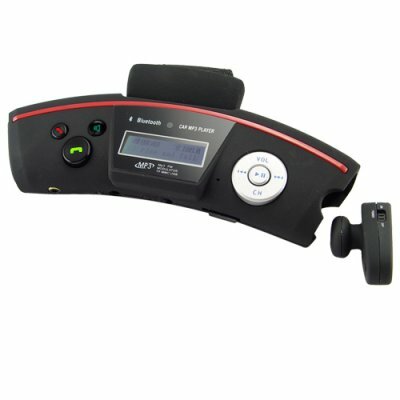 Successfully Added Car Steering Wheel Bluetooth Adapter with Wireless Earpiece to your Shopping Cart. This versatile Bluetooth device enhances your daily driving experience by making it both safe and convenient to talk while you are on the road in your car, truck, or delivery van. How? By using the built in MIC and speakers or wireless earpiece your phone calls are hands-free, allowing you to keep your eyes on the road while driving. Since the steering wheel Bluetooth adapter smoothly attaches to your steering wheel via the integrated wide elastic and velcro strip, it becomes conveniently located where you want it while at the same time not needing any complicated installation procedure. I have recently bought this product,and result was very good,ear piece size you have to look at !!! Very fast delivery,i recomnded to buy this product who has lot of use of mobile while driving vehicle.